Personal Book Awards 2018 | The Best Books of the Year! I read so many great books this year, and I think this is going to be a super fun way to recap all of my favorites. This post was partially inspired by the wonderful Alexandra @ Twirling Pages (I’ve linked her book awards video from last year) and I also got most of the categories from Jamie @ Perpetual Page Turner. AND this week’s Top Ten Tuesday (run by Jana @ That Artsy Reader Girl) is about the best books of 2018, so basically, I’m killing it! I did my best to choose one book per category and avoid repeats, but I did need to add some honorable mentions because I read so many good books!! Note: covers are from Goodreads and link to the books’ respective Goodreads pages. I loved both of these books, and they both have fewer than 500 ratings on Goodreads. They deserve all the love!! Going into At the Edge of the Universe, I had no idea what to expect (I grabbed a free e-book of it on a whim and didn’t know a whole lot about it), and let me tell you, it was weird. Good! But I was totally surprised by how unusual it was. Gosh, I enjoyed reading both of these books SO MUCH. I guess Leah on the Offbeat is more of a companion novel to Simon vs. the Homo Sapiens Agenda than a sequel, but I had to include it. I’m so sad that these series are over. I loved both of these finales though! (Especially the ending of The Penderwicks at Last.) And I even think Always and Forever, Lara Jean might be my favorite book in the trilogy! I read The Perks of Being a Wallflower, published in 1999, for the first time this year, and I thought it was very good, and still relatable to teenagers now despite having been written 20 years ago. The Poet X is Elizabeth Acevedo’s gorgeous debut novel. I HIGHLY recommend listening to the audiobook version, which is narrated by the author and is abslutely stunning. I first discovered Alice Oseman through her webcomic (and soon-to-be-published graphic novel), and I am so so glad that I did. She is an amazing writer and artist, and I can’t wait to read the rest of her works! I’ve had varying success with John Green novels in the past, but Turtles All the Way Down (along with The Fault in Our Stars) is definitely one of my favorites of his books. The books I went with for this award are Six of Crows, because it’s like the most hyped book in the YA universe, and The Westing Game, because I’ve been meaning to read it since I was in fifth grade. Dude, I probably sobbed in the bathroom for a good ten minutes after finishing this book before I was able to collect myself, no joke. My three picks for best minor character are Sohrab from Darius the Great Is Not Okay, who is so sweet and just the nicest person, Kitty from Always and Forever, Lara Jean, who is so funny and iconic, and Felicity from The Gentleman’s Guide to Vice and Virtue, who is the most badass younger sister character. Lara Jean!! We’re both artsy and kinda awkward and have siblings and like planning things, so she was super relatable for me. I loved Fitzphie in the most recent Keeper of the Lost Cities book, but Nick & Charlie are also absolutely adorable, and I had to include Jesper & Wylan and Vi & Cece as honorable mentions. Frances and Aled win best friendship! They’re so cute and I love how totally platonic their relationship is. There are so many good choices for this award! I loved the found family vibes in all three of these books. Do you agree with my choices? What books would you choose for these awards? Do you have any bookish goals for the coming year? Wow this is the coolest way to talk about your favorite books of the year! I also adore the cover for Sadie and the platonic relationships in Radio Silence melts my entire heart! Ohh The Gilded Wolves? I need to look into this book…sounded awesome! This post is amazing, Annie! 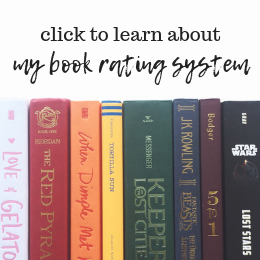 I just love reading posts where bloggers talk about all their favorite books.🤗I also loved ATPN, Simon Vs., and Summer of Salt- I think a lot of the others you mentioned are on my TBR, though. And YES The Last Summer of the Garrett Girls is sadly underappreciated? But thankfully I discovered it from your blog a while back and now it’s one of my favorite reads of the year. Oh, and I also think Always and Forever was my favorite book in the whole Lara Jean series, but I need to reread soon just to check. XD AND DIMPLE! (Although I think I liked Rishi better? I don’t know they were both adorable.) AND SOHRAB. As you could tell by all my screaming, I loved this post a lot. Happy new year! A Tree Grows in Brooklyn is my most favorite book ever. I’m so glad to hear you enjoyed it! Yes it was super good!